We are recruiting for a fast growing international multidisciplinary technology group doing a long term, large scale construction project in the homeland security domain in the Gulf Region. Candidate must be willing to RELOCATE to the Gulf Region on a single status minimum one year contract. The Close Protection Officer will be a member of the unarmed security team protecting the company’s employees in all their activities, including the accommodations quarters, transportation and all the work facilities. Person must possess experience with different aspects of physical security, like close protection of corporate executives, dignitaries and VIPs, mobile and static security of official sites/ institutions, managing control rooms and CCTV etc. 6 years of experience with physical security in the private sector, dealing mainly with securing official sites/institutions and close protection or 4 years of physical and personal security while working for an official governmental agency, the police or military. 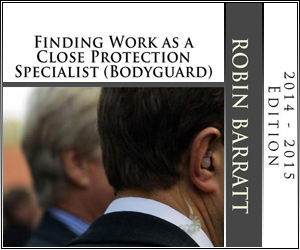 Close protection license from official and international CP certifying bodies i.e. SIA, Ronin etc. Strong knowledge in CCTV systems, access control and command & control systems. To apply for this job please visit job-global.net.